The Champ Landfill is a state-of-the-art Solid Waste Recycling and Disposal Facility that serves the entire St. Louis Region. This essential regional utility is fully permitted to receive municipal solid waste, demolition waste, and special waste materials. The facility recycles various materials including green waste and the Champ Landfill recovers energy from the decomposition of waste materials to power 10,000 homes, and heat four local greenhouses. If you have any questions or comments about the landfill and its operations, you may call 314-279-5777 or contact us online. Champ Landfill_New Edit 2018 from Blue Ridge Services on Vimeo. As an active landfill, Champ Landfill provides a licensed, safe and convenient location for local residential, business, and hauling customers to drop off their waste. Significant improvements are already underway and we are excited to share these ongoing activities and future initiates in our News section. The purpose of this website is to inform neighbors, businesses, schools and the community on upcoming activities and notable events at the Champ Landfill. The Champ Landfill offers economic benefits to the area. In one year's time, the St. Louis County collected revenues of $928,500 from Champ Landfill’s customer surcharges. Surcharges received are allocated annually in the budget approved by the St. Louis County Council for management, promotional, grant and education programs for solid waste, household hazardous waste, resource recovery, recycling and related matters supporting waste diversion. As of June 1, 2016, the Champ Landfill is under new leadership. 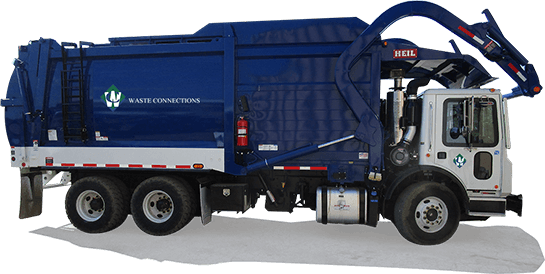 Waste Connections, Inc. is an integrated solid waste services company that provides waste collection, transfer, disposal and recycling services in the U.S. and Canada with the following Vision and Operating Values. Our goal is to create an environment where self directed, empowered employees strive to consistently fulfill our constituent commitments and seek to create positive impacts through interactions with customers, communities, and fellow employees, always relying on our Operation Values as the foundation of our existence. We strive to assure complete safety of our employees, our customers and the public in all of our operations. We keep our promises to our customers, our employees and our stakeholders. Our objective is to provide an environment where people enjoy what they do and take pride in their work. We remain environmentally responsible, and continue to grow in a disciplined way, deploying resources intelligently and benefiting the communities we live in.